Happy birthday to New Orleans, 300 years in the making! 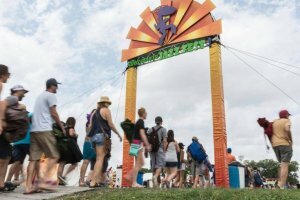 The year 2018 marks the city of New Orleans’s 300th anniversary, and the city is going all out on the monthslong celebration of its illustrious history, diverse culture and unique traditions. The extensive program, put forth by city officials and the 2018 NOLA Commission formed by Mayor Landrieu, includes concerts, exhibitions, citywide celebratory events, and, of course, fireworks (twice). Several major infrastructure projects are also slated for completion in 2018 as part of marking the anniversary. To celebrate the historic ties between New Orleans and France a delegation of local business, cultural, civic, and government leaders, helmed by the Mayor, traveled to France in November 2017. 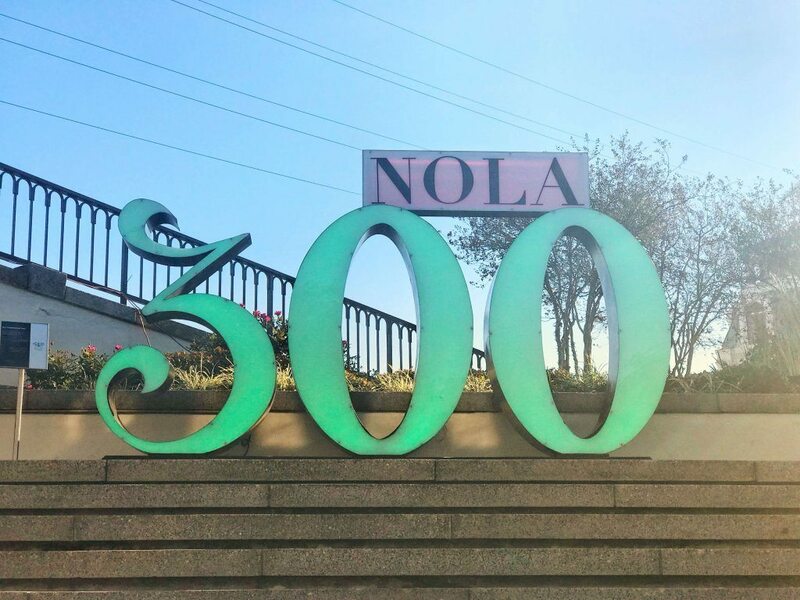 And The Times-Picayune and NOLA.com teamed up on a series “300 for 300” since January 2017, publishing special features on the 300 events that shaped the city and the 300 people who have defined it. So, stay tuned for updates of the tricentennial projects, buy some merch, and get out there to celebrate during the end of 2017, and into the new year. Here are some highlights on the related improvement projects and special events. The tricentennial legacy project is the large-scale restoration of historic Gallier Hall, directed by the Gallier Hall Preservation Committee. The Greek Revival building was erected between 1845 and 1853 and served as City Hall until 1956. Restoration plans include interior painting and repair, rewiring, and restoration of the period furniture, the decor like mirrors and chandeliers; paintings; and even the Steinway pianos. Other improvements include the New Orleans riverfront, with the completion of Crescent Park, a dog-friendly public green space along the river that connects Bywater and the French Market. Another large-scale green-space renovation, the Lafitte Greenway, is a 2.6-mile stretch of pedestrian and bike paths, from Bayou St. John in Mid-City to the French Quarter. The recent expansion of the N. Rampart/St. Claude streetcar line eases the navigation of the city’s widespread areas. Another notable projects are the $360 million redevelopment of the long-vacant World Trade Center into a Four Seasons hotel, and the makeover of Bourbon Street. This most-visited street in the city hasn’t had an extensive upgrade since 1928, so the $6 million repair project, scheduled to be completed by the end of 2017, will replace drain and water lines, repair and upgrade gas pipes, and will lay eight inches of concrete. Scheduled to open in February 2019, the new, 972,000 sq. feet North Terminal facility at the Louis Armstrong airport will have two concourses, 35 gates, and a parking garage for more than 2,000 cars. And, last but not least, the New Orleans Recreation Development Committee (NORDC) announced the opening of five remodeled recreation centers: the St. Bernard Center, Sanchez Center, Lyons Center, Joe W. Brown Recreation Center, Cut-Off Recreation Center, and the Milne Center. 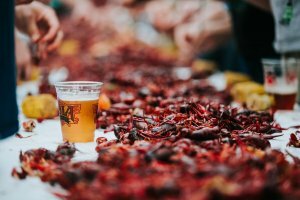 Although the celebration goes well into 2018, here are just some of the highlights of how New Orleans will be celebrating its 300th birthday through the winter of 2018.